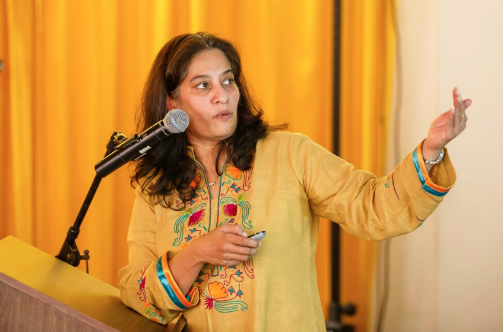 Founder and Director of CAISH, Ismat is a pioneer of Nadi Vigyan (Ayurvedic Neurotherapy) in the West and has worked extensively with prominent medical doctors and experts in the field of health care in India, Europe and now in Canada. Her education background is in Indian Naturopathic Medicine & Yogic sciences with a post-graduate degree in Integrative Medicine from University of Westminster and University of Bristol, UK. Bhavna Mehta is an Ayurvedic doctor from India with more than 20 years of experience in Ayurvedic Medicine and a specialization in Panchkarma. She is a Registered Nurse Practitioner (licensed in Canada) and works at Sunnybrook Hospital. Bhavna’s unique expertise includes an ability to integrate her knowledge of Western medicine with Ayurvedic medicine. She has contributed her valuable skills to the clinical learning settings at CAISH as a teacher for the last 10 years. Sairupa Krishnamurti is a 2010 graduate of the Ayurvedic Therapist program from CAISH, and most recently completed a 4-year program in Naturopathic Medicine at the Canadian College of Naturopathic Medicine (2015). She is interested in bridging Ayurveda, Yoga and Naturopathic Medicine to support people on their health journeys. She has been practicing and studying Hatha Yoga for over 10 years with inspiring teachers in Canada, Malaysia and Indonesia. Sairupa received a scholarship to complete a Yoga Teacher Training program in 2007 through The School of Integrative Yoga Therapy with yoga teacher/therapist, Heather Greaves. A unique aspect to this course was a module on inclusive teaching practices from an anti-oppressive framework. She draws on this framework in her work as a teacher and clinician. Sairupa loves working with new parents, women, families and children of all ages, and completed a yearlong clinical rotation on a pediatrics-focused Naturopathic shift at C.C.N.M. With a passion for the Art of Ayurveda and Yoga, Sairupa is often found teaching inclusive self-care classes that welcome people from all levels of learning. Her teaching approach focuses on the whole individual, creating a safe, accessible space to engage in wellness at an individual’s most comfortable level of involvement. with inspiring teachers in Canada, Malaysia and Indonesia. Sairupa received a scholarship to complete a Yoga Teacher Training program in 2007 through The School of Integrative Yoga Therapy with yoga teacher/therapist Heather Greaves. A unique aspect to this course, was a module on inclusive teaching practices from an anti-oppressive framework. She draws on this framework in her work as a teacher and clinician. Sairupa loves working with new parents, women, families and children of all ages, and completed a year long clinical rotation on a Pediatrics focused Naturopathic shift at C.C.N.M. With a passion for the Art of Ayurveda and Yoga- you will often find Sairupa teaching inclusive self-care classes that welcome people from all levels of learning. Her teaching approach focuses on the whole individual, creating a safe, accessible space to engage in wellness at the level of involvement one is comfortable with. Dana Lerman, ND is a graduate of the Canadian College of Naturopathic Medicine in Toronto and earned a bachelor of arts degree in Psychology from York University. Dana completed her yoga certificate at the Vidya Institute in Toronto. She has studied Ayurveda through The Vedic Institute in New Mexico and has studied with Dr. Vasant Lad and Maya Tiwari. Dana has a family medicine practice at Jaya Integrative Health Centre and teaches classes in Toronto. In private practice, Dana works with nutrition, herbs, yoga, meditation, supplements and lifestyle counselling as a means to address the root and individuality of her clients’ health care needs. Dana is an extremely compassionate individual committed to the service of others and believes strongly in a multidisciplinary approach to healing. Dana believes that working with other health care practitioners and encouraging individuals to find their personal combination of therapeutic modalities is imperative to sustaining and improving health. While studying Naturopathy, Dana interned with herbalists Matthew Wood in Minnesota and Christine Denis in Ontario, learning the identification, cultivation and harvesting of medicinal plants. In her fourth year of study, Dana trained under Sat Dharam Kaur, ND in the Healthy Breast Initiative, an eight-week clinician training program. Dana has studied Reiki in Toronto and India. Dana Lerman ND, is a graduate of the Canadian College of Naturopathic Medicine in Toronto and earned a bachelor of arts degree in Psychology from York University. Dana completed her yoga certificate at the Vidya Institute in Toronto. She has studied Ayurveda through The Vedic Institute in New Mexico and has studied with Dr. Vasant Lad and Maya Tiwari. Dana works with nutrition, herbs, yoga, meditation, supplements and lifestyle counselling as a means to address the root and individuality of her client’s health care needs. Dana is an extremely compassionate individual committed to the service of others and believes strongly in a multidisciplinary approach to healing. Dana believe’s that working with other health care practitioners and encouraging individuals to find their personal combination of therapeutic modalities is imperative to sustaining and improving health. While studying Naturopathy, Dana interned with herbalists Matthew Wood in Minnesota and Christine Denis in Ontario, learning the identification, cultivation and harvesting of medicinal plants. In her fourth year of study Dana trained under Sat Dharam Kaur ND in the Healthy Breast Initiative, an eight week clinician training program. Dana has studied Reiki in Toronto and India. Heather Greaves, E-RYT-500 received her yoga teacher certification from the Esther Myers Yoga Studio in Toronto in 1998. In 2007, she was certified by Integrative Yoga Therapy as a Professional Yoga Therapist. Heather also received certification as a Kundalini Yoga Teacher and successfully completed Mindful Educator Essentials. She is the owner of Body Therapies Yoga Training, a school registered with Yoga Alliance since 2005. Heather is the lead instructor on the 200-hour and 300-hour certification programs. These “train the trainer” programs increase self-mastery skills and are gentle and restorative. Learners expand their repertoire of life skills, increase reliance on their inner teacher, and are able to share yoga for wellness in group and private settings. Heather uses her specialized knowledge and experience in yoga and meditation to coach honing the spirit, mind and body connection. Her programs consider the uniqueness of the individual, are trauma informed, and non-hierarchical. She believes in honoring the wisdom of all traditions. Heather Greaves, E-RYT-500 received her yoga teacher certification from the Esther Myers Yoga Studio in Toronto in 1998. And in 2007 was certified by Integrative Yoga Therapy as Professional Yoga Therapist. Heather also received certification as a Kundalini Yoga Teacher, and successfully completed Mindful Educator Essentials. She is the owner of Body Therapies Yoga Training – a school registered with Yoga Alliance since 2005; and is the lead instructor on the 200 and 300 hour certification programs. These train the trainer programs increase self mastery skills and are gentle and restorative. Learners expand their repertoire of life skills, increase reliance on their inner teacher, and are able to share yoga for wellness in group and private settings. 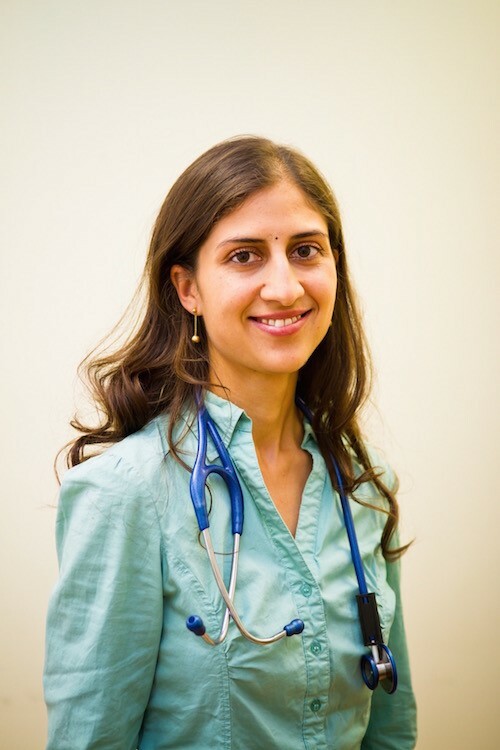 Dr. Leena Athparia is a Naturopathic Doctor & Ayurvedic Practitioner based in Toronto, Canada. She graduated from the Canadian College of Naturopathic Medicine and further pursued her studies in Ayurvedic medicine while running a practice focussed on chronic disease and pain management. Blending modern diagnostic methods with traditional systems, Dr. Athparia treats the whole person with therapies such as: Ayurveda, TCM & acupuncture, cupping, nutrition, lifestyle, counselling, homeopathy and botanical medicine. Dr. Athparia completed a BSc in Biological Sciences and a BA in French at the University of Calgary. She then completed the 4-year intensive Naturopathic Medicine program at the Canadian College of Naturopathic Medicine. Dr. Athparia further pursued her passion in Ayurvedic medicine with CAISH and graduated as an Advanced Ayurvedic Wellness Counsellor (AAWC). Dr. Athparia is a member of the Canadian Association of Naturopathic Doctors (CAND), Ontario Association of Naturopathic Doctors (OAND). She contributes regularly to the naturopathic and Ayurvedic professions through articles, seminars and conference. She enjoys travelling and practicing yoga & meditation which has brought deeper insight into health.